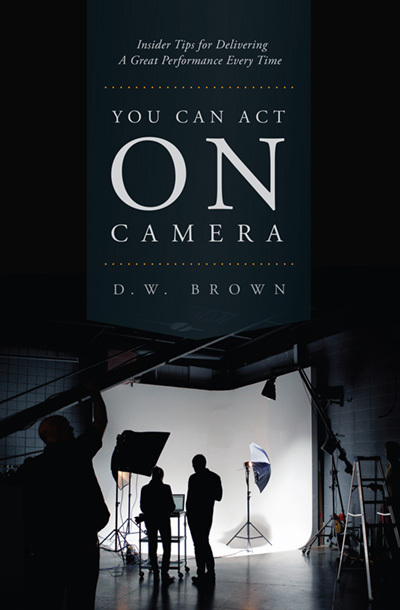 The book You Can Act on Camera by D.W. Brown is a great book for actors who want to break into the TV and movie industry, or actors already working in the business who want to improve their craft and get better at it in a more consistent way. The book is divided in five parts. The first part contains 32 principles for acting on camera. It contains some obvious but overlooked principles like “Get your lines cold” or “Be it, don’t sell it”, as well as more profound philosophical principles like “Always be assimilating” or “Keep a secret”, as well as many other extremely useful and practical principles. The second part of the book contains an essay about how to get your best performance recorded. It explores various things like how to be able to make it work on the fly, take after take, or how to remain focused when so many things are going on around you, or how to ignore other people reactions to the work you are currently doing, or most importantly how to become flow, and how to prepare emotionally. This is a deep and practical reflexion about all the things that being an actor on set encompasses. The third part is a set of interviews with great film directors/actors/writers/producers telling in their own words what they think make a great acting performance. D.W. Brown interviews Peter Bogdanovich, Catherine Hardwicke, Jon Gries, Michael Rymer, William Mapother, Peter Macnicol, Gregg Champion, Mimi Leder, Peter Cornwell, Martha Coolidge, Jerry Zucker, Rob Cohen, and John Patrick Shanley. These various points of view are really interesting because each one of these people phrases in their own way what makes delivering a great performance possible. The fourth part is a short essay entitled “An Actor’s Manifesto” in which the author speaks directly to the actor and exhorts him to give the best! In these short three or four pages, all the essence of what being an actor means is distilled in a very straightforward language. The fifth and last part is another short essay entitled “Charisma Revealed”, where the author tries to explicit the quintessence of what charisma is, and how you can work on it. Each of these parts on its own represents a clear and practical set of directions to work on the craft and develop as an actor. Whoever will read this book and implement the proposed working directions will definitely improve as an actor, but also as a person.